Work experiences differ between different employees even as they execute the same tasks sometimes. 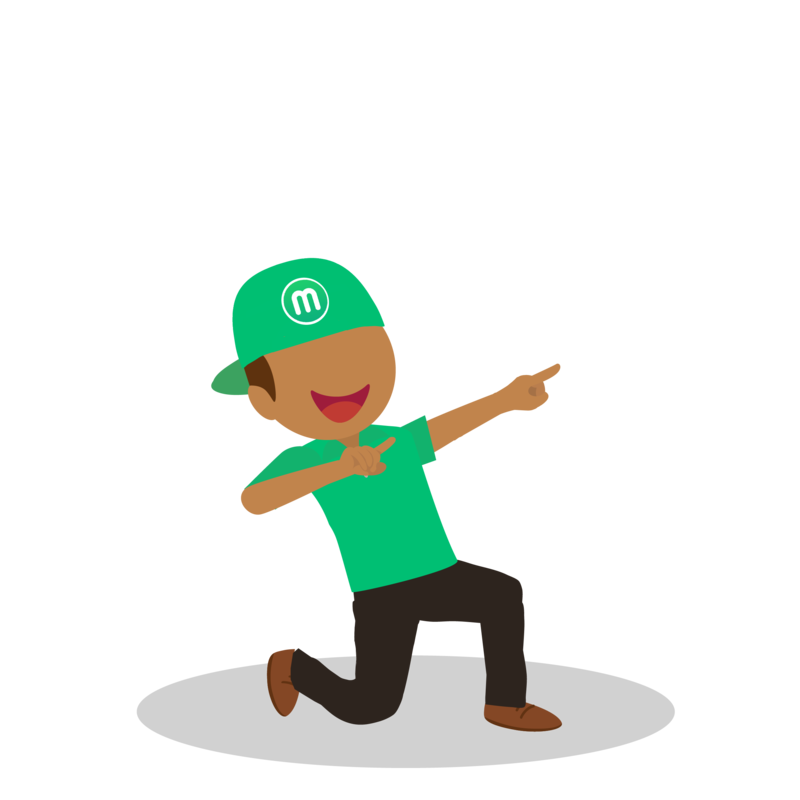 I have worked at Melltoo for the past three years where I have seen the exponential expansion of our team from 3 people to 25 employees working in several departments: delivery operations, customer success, marketing, product development and quality assurance. I often have conversations with my university friends in Tunisia about how work means different things to different people. All of us, males and females, do agree that work experiences are influenced by gender and sometimes class at least in Tunisia. I have seen many young job seekers in Tunisia, often females, be constrained by distance and poor transportation infrastructure when accepting a job or trying to perform well at a job. This is not unheard of in th region. Remote work allows me to be productive anywhere as long I’m dead focused on deliverables that matter. Four women in our team hold central roles chiefly our co-founder and COO, Sharene Lee, who manages the team. Asiya Shakirova, a startup veteran who worked with several UAE incubators, manages our brand online and our partners programme. Yesmin Choutri, Melltoo’s illustrator, is the skilled artist behind Melltoo’s visual branding (on the app, blog and YouTube). Heba is a customer service agent who had been with the team for over a year. 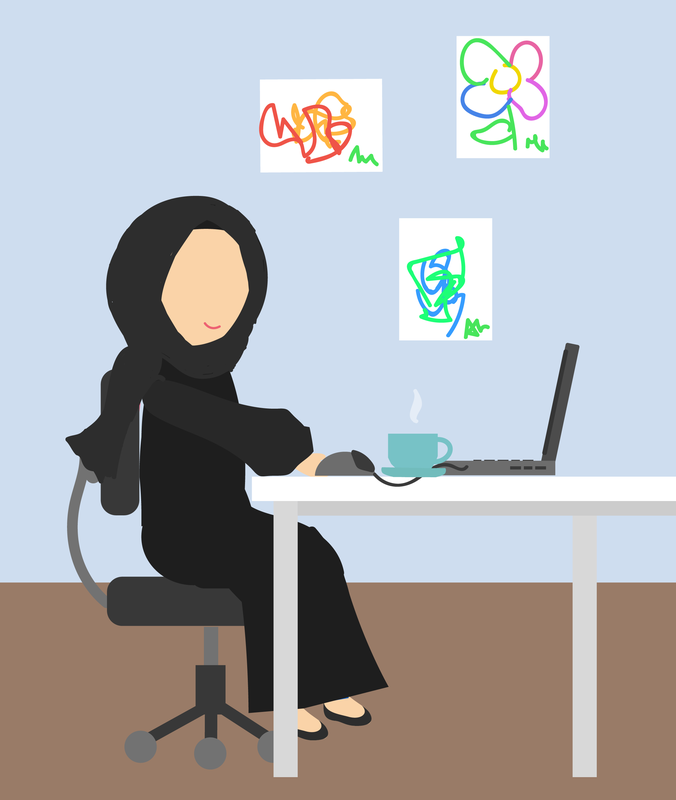 Without them, we can’t do our work properly; and just like everyone, Sharene, Asiya and Yesmin, and Heba benefit from working remotely. I spoke to them privately about their remote experience at Melltoo and what it means to them in their own words as professionals, parents and humans. Sharene, Asiya, Yesmin and Heba represent different demographic segments that are now the new normal for innovative tech companies. Sharene and Asiya are both momprenreurs who manage both a dynamic career and a growing family. Yesmin and Heba are at the start of their careers, managing different operations. Yesmin executes her tasks skillfully while enjoying a fulfilling work-life balance. Heba speaks to our customers on a regular basis and is in charge of the regular user education cycle about our brand and our operations. It is not often easy to lead a career in tech as female. Even Sheryl Sandberg, former COO at Facebook, still can’t make up her mind whether it is just enough to “lean in” or if the odds are just stacked against women. According to Pew Research Center, as many as 51% of working mothers in the US say they find it hard to advance their careers. This is the result of archaic work environments that require lengthy hours of work and physical presence in an office to get things done. Nearly half of working mothers would have to interrupt their careers at some point for family reasons. When Sharene started Melltoo, she did not envision remote work as a possibility but as more people joined and proved able to work effectively by themselves, the choice has become more and more obvious. It was rather economically smarter for the young team to continue to work remotely, spend less on overhead and more on acquisition and user experience. I asked Sharene about her relationship with work and her family whom I often hear on the other end of every other call. Family is important to me as work is. “Being close to home and able to respond to my children’s needs allows me to focus better on my work. I know I’m not missing anything and I don’t feel a need to overcompensate after work,” she tells me. “I think the most positive thing about working from home is being able to share what I do with my kids. Growing up, I don’t think I had a clue what my parents’ jobs were like. However, my kids do look over my shoulder, they overhear me in meetings, they are sounding boards for new ideas, they are beta testers and they are able to participate in my work life in ways that wouldn’t be possible if I were working from an office, she adds. Because of societal expectations, women have to stop their careers when they become mothers to take care of their newborns. This interruption often puts a lid on women’s career advancement and pay expectations compared to men. It’s referred to as the “glass ceiling” – an invisible barrier that hold women back compared to men. This is also one of the strong reasons some countries are considering allowing working fathers to take some time off to take care of their families. Asiya Shakirova is also a Melltoo mom. She joined the Melltoo team shortly after the birth of her second child. I asked her the same question about managing work and managing a family. “When I first time heard about remote job, I really wanted it. When I left my last job because I was pregnant with second child, I realized, how much time and effort I was spending in office. I didn’t want to work like this anymore. So, when I received an offer from Morrad (our CEO), I thought this is the perfect job style for mom,” she wrote me. Asiya had to hire other people to take care of her family when she had an office job back in Russia before, but she doesn’t see the need to today. Yesmin Choutri, our illustrator from Germany, joined Melltoo not only as her first remote experience, but also as her first work experience. Yesmin is only going to university this year. Talent has no boundaries or age. Yesmin and I now speak more frequently when creating illustrations that match our content and engagement campaign visuals. “Melltoo team is like a family, everyone is kind, respectful, friendly and always there to help anyone. Sharene invited me to join Melltoo even though I knew nothing of graphic design but she believed in in my potential for art and I accepted the challenge. I taught myself and learned how to use Photoshop, illustrator, create graphics, GIFs and videos,” she wrote me on Slack. The friendly environment around our virtual office often makes it easier when new members of the team join our operations. Melltoo has a very low employee turnover with 90-plus percent of employees having worked with us for at least a year. The level of friendly communication encourages more people to participate regardless of their personal character if they are introvert or extrovert. There are no physical meetings where some people may want to assert themselves physically in the room or shout more to fill an empty space to impose their opinions (me by fault of my height and deep voice). All voices that go through the microphone are equal, men and women. Yesmin, who is a shy millennial, has enough room to suggest edits and opinios of her own to her work freely without any friction. Heba Mahmoud, our customer service agent, challenged her own expectations with regards to remote work. Living in El Minya in Egypt, a city in Upper Egypt dominated by the agriculture sector, Heba had her own preconceptions when asked to join the customer service team. “I haven’t expected to love the remote work or that I’ll enjoy the work behind a screen and to sit for 8 hours without feeling bored,” she says. It is best said that Heba surmounted these fears. She has been with the team for over a year. She is a valuable member of the transactions management team. 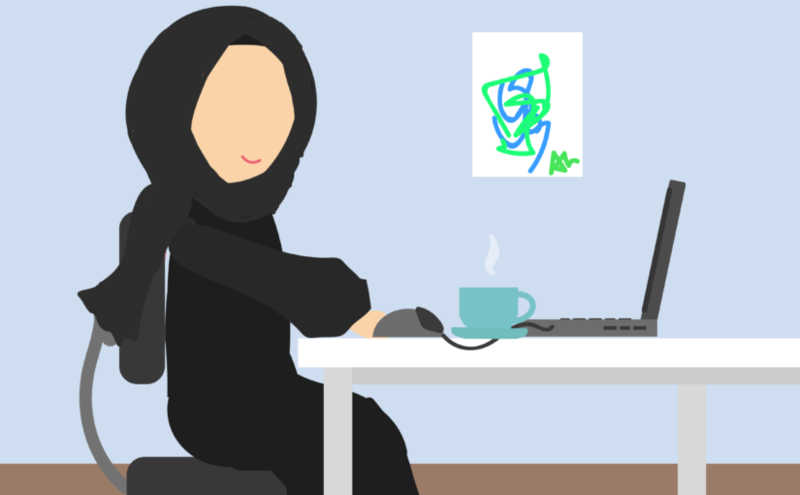 A remote job in Heba’s case does not only allow for time flexibility, but is also a gainful job opportunity that offers income stability and upward mobility to young professionals in the Middle East. The state of youth unemployment in Egypt and the vast Middle East region remains staggerly high (~30%) and jobs are scarce. When given flexibility, our female employees have encountered fewer obstacles to give their 100% to their jobs. The magic formula is work autonomy, good communication and an explicit agreement that despite our geographical remoteness, we are still gathered together via online platforms to brainstorm among each other and get things done. Such is the female experience at Melltoo. Without Sharene’s leadership, we wouldn’t have gotten ahead with $1.2 million in private funding so far. Yesmin is the creative genius behind many Melltoo characters “Melltoo Man” and the rest of the Melltoo family character. Asiya has successfully run 3 major engagement campaigns since Spring, as well as our partners programme. Heba continues to interact and answer our user queries on a daily basis and not surpass our 8-min average targeted reply time. Special shoutout to the former women of Melltoo, Soukaina Rachidi and Yusra Bagsheir.